The first of two 2019 Downtown Restaurant Week promotions begins First Friday, April 5 and runs through Saturday, April 13. Diners can experience a variety of specially-crafted seasonal dishes from nine downtown restaurants. Each featured dinner menu includes a choice of one appetizer, one entrée, and one dessert for just $30 per person. The price does not include tax or tip. Participating restaurants strongly recommend making reservations in advance. Find full menu descriptions at dtsf.com/event/downtown-restaurant-week. 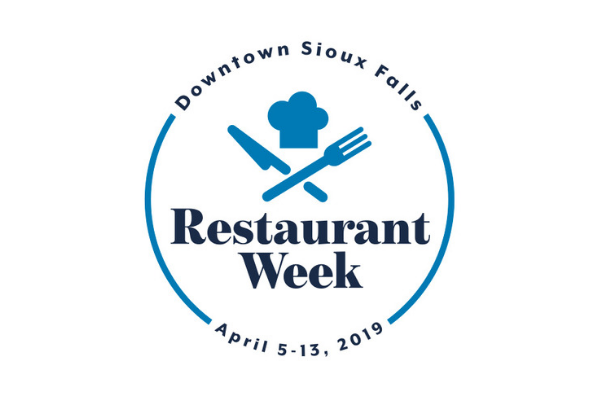 Diners can plan a full evening with several downtown events taking place over the next week, such as: April First Friday, Rain: A Tribute To The Beatles, 2019 Arts Night Experience, Sioux Falls Municipal Band: 100 Years of Making Music Exhibit, and more atdtsf.com/events. Fall Restaurant Week is set to kick off on Friday, November 1, 2019.